I honestly think Tite Kubo is incapable of creating normal names. This chapter continues straight on from last week’s, with Yhwach addressing the Sternritter. He calls out to a figure in the shadows, who steps forwards and reveals himself to be Uryu. As all the troops wonder who Uryu is and why he’s there, Yhwach announces that Uryu is the last Quincy alive in this world (presumably he means the last Quincy following the old ways). In a surprising move, Yhwach tells the Sternritter that he has nominated Uryu as his successor, causing almost all the troops to react in shock. Why are there never any normal Sternritter? One Quincy takes this news quite badly, and attempts to speak out. Fortunately for him, Haschwalth stops him before he can speak his mind. Given Yhwach’s response to people who speak against him, this was probably a smart move. Yhwach then tells them that there is no need to worry, as they will soon be able to see Uryu’s power for themselves. After the announcement, a group of Quincies have gathered to discuss what happened. The members consist of Sternritter ‘S’, known as ‘Mask de Masculine’, Sternritter ‘K’, known as BG9, Sternritter ‘I’, called ‘Cang Du’, and Sternritter ‘H’, otherwise known as ‘Bazz-B’. To save time, the first three will henceforth be referred to as ‘Wrestler Quincy’, ‘Knight Quincy’, and ‘Silent Quincy’. In his anger, Bazz-B decides to go straight to Yhwach’s office and complain, but is stopped by the appearance of Sternritter ‘B’ – Haschwalth. "Plus, he'd kill me if I disagreed." 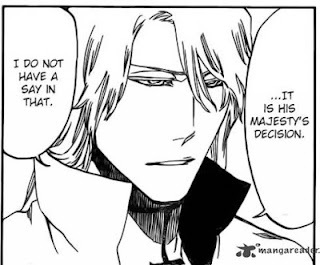 It turns out that most of the Sternritter thought that Haschwalth would have been Yhwach’s successor, and that most of them would have had no problem with that decision. Haschwalth states that he has no say in Yhwach’s decision, and that he isn’t really bothered by it anyway. 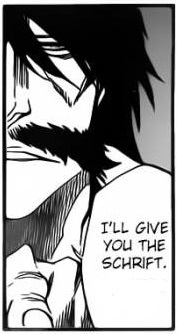 At this point, Bazz-B reveals that he wants to be Yhwach’s successor, and starts to get worked up. 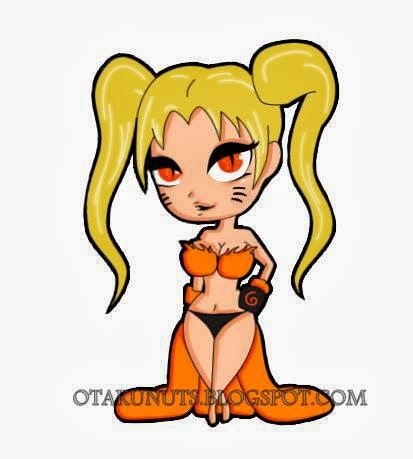 Before a fight can start, another Quincy appears, called Askin Nakk Le Varr (or from now on, ‘Charlotte Quincy’, due to his resemblance to a certain Arrancar). He helps calm Bazz-B down, and lets the other two Quincies know that someone is watching them. Before he leaves, he addresses Haschwalth as ‘next Emperor’. In another room, Yhwach has just completed a sort of ceremony with Uryu, and states that his power will awaken soon. After saying that he will give Uryu the sacred scripts, Yhwach also reveals that Uryu will have the letter ‘A’, just like the Emperor himself. The fact that Uryu has become the successor to the Emperor was a surprise, and one that casts some doubt over my theory that he’s a double agent – after all, I’d imagine that Yhwach would conduct some pretty thorough background checks before choosing his heir. On the other hand, he’s already been shown be dangerously genre-savvy, so he might simply be using Uryu as a way to reach Ichigo (or maybe even Ryuuken). An enemy of Soul Society sets up shop in a huge base in Hueco Mundo, and creates a huge army capable of fighting the Soul Reapers. Every person in this army is given a unique character to denote their rank and/or power. The leader of said army manages to convince one of Ichigo’s friends into coming to their palace. A hot-headed soldier objects, but is stopped from confronting the leader by a more stoic soldier with a higher rank. The above summary could be used to describe either the Arrancar situation (with Aizen, Orihime, Grimmjow and Ulquiorra) or the Quincy situation (with Yhwach, Uryu, Bazz-B and Haschwalth). Granted, there are a number of differences, but unless Tite Kubo shakes things up a little, we could easily be facing a repeat of the Arrancar Saga. 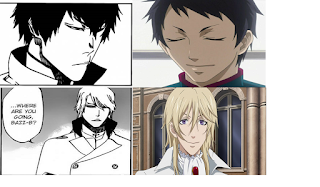 More information about the Sternritter. Bad Things: No normal Sternritters. Possibility of the story repeating itself. I don't know if I want to see Tite Kubo's take on Grell Sutcliff. ClayDragon is currently studying Physics at university, and is constantly bewildered by it. The main method of contacting him is his Gmail account at kyleroulston1993@gmail.com. The alternative is his Skype account at kyleroulston1993. When not playing games or reading, he can be found with his head in his hands whilst trying in vain to understand quantum physics. Every night he prays to Nintendo to remake Majora's Mask. And I was so stoked about last chapter! Damn. Guess in order to have an awesome chapter, there has to be a crappy one.